Contributions to the Georgia Country Fund support sustainable, community-driven Peace Corps Partnership Program projects in Georgia that are led by Peace Corps Volunteers. These projects focus on youth, education, and community development. A lot of amazing projects in Georgia are funded by the Peace Corps Partnership Program. Past projects include the METS: Mathematics, Engineering, Technology, and Science- Me Too! 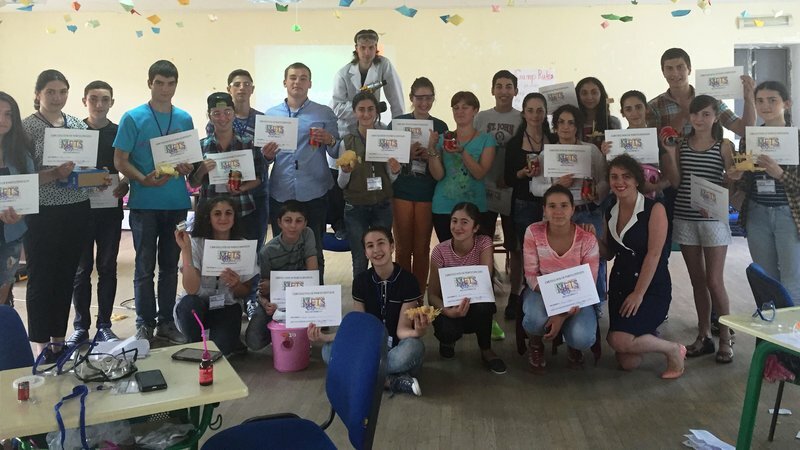 Camp launched by the Peace Corps Volunteer serving in Imereti region of Georgia. In Georgian, "mets" means, "me too". METS camp embodies both meanings as a five-day camp of 30 girls and boys (grades 9-12) from Georgia to participate in hands-on science projects. Campers work in teams of four, taking on rotating, specified roles to ensure that, over the course of the week, each member experiences all of the potential responsibilities as they delve into some of the science behind the body, electrical generators, global warming, health, and more. Today, programs like METS are more important than ever. Georgia struggles to meet the growing demand for STEM professionals and students rarely see the practical application of science in their lives or have the confidence to pursue biology, chemistry, and physics. METS tackles these problems and, through cross-gender teamwork, shows students that everyone, regardless of gender, has a place in STEM and can succeed by working together. Students hold up certificates they earned during METS Camp.